I have wanted to write about Panda so many times, but have found myself stumped each time I start. Set up more like a well- organized factory supply room than a retail environment, Panda, despite being nestled among several seemingly similar stores, holds a space and purpose of its own on that busy stretch of 38th Street. In the beginning of the business (1992), Panda's main customers were local sewing factories because the local business was big at that time. But now, their main customers are major apparel manufactures and factories in South America instead of small local sewing factories. Luckily for us in New York City, they have a location right here, giving us access to their products. From my perspective, the main reasons to go are the zippers and steaming/pressing supplies. They provide a brief zipper education on their website, to help you know what is available to choose from. In my opinion, Panda is aimed at the sewing professional, rather than the hobbyist, with an emphasis on selling items in quantity. No time to waste, consistent stock, clearly marked items available in ample quantity. If you are local (NYC), and meet a minimum purchase amount, they will deliver items to you personally. Now, seriously, you can't beat that, can you? I've been exploring lots of creative ideas for projects lately, loving artistic ideas inspired by my own dressmaking clients, their requests, and beautiful things I've seen in fabric stores. The world of digital printing has really taken a creative leap, with some of the garment district stores offering really amazing panel prints and spectacularly rich images on fabric. 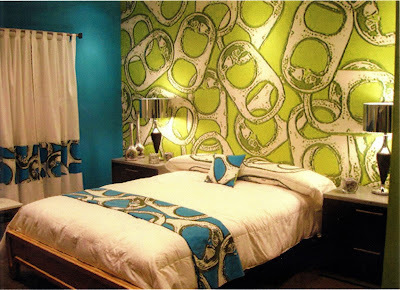 First2Print did the printing for a custom pop-tab themed room for "Extreme Makeover Home Edition" see the bedroom at 37:20 in the video linked here. So, in my quest for creative digital prints, I became intrigued by First2Print, a company I recently noticed, after visiting their Facebook page. To my surprise, I have learned that you can be just an individual, only wanting to produce one sample or project, and you can enlist the services of First2Print for your digital printing. You only need to order a 1 yd minimum (using in stock fabrications), and an average turnaround time of 7-10 business days for beautiful, professional work. They consult with you, advising you on the best way to present your image to them, and any variables to consider. They help you decide which will present your image best for your project. A range of fabric choices including silks, cottons, jerseys, and polys are available from their in stock All fabric is steamed, washed, and dried to be permanent. This is not a place to casually visit, but if you want to meet and consult with digital printing professionals, this is the place to go! Note: My aging eyes are telling me to write a little bigger. Saving things for later because my eyes are tired, is slowly becoming a bit of a habit. Anyone else experiencing this? Oh, and yes, I now have my first pair of reading glasses. A "light prescription" I was told. (I suspect it's all downhill from here.) Now, if I could only remember to put them on, that would be great... Actually, where are they???? Years ago, probably about a decade ago now that I think about it (tapping my forehead in amazement! ), I read a great book entitled, "The Art of What Works". There is no Kindle copy available, and there are only a few new copies on Amazon. It is also out-of-print now. But I bring this subject up to say that the greatest point this book made is that there is "nothing new under the sun", and that successful ideas come from combining ideas that have worked in different combinations to create a new presentation of what are, basically, recycled ideas. I am particularly jazzed by that concept, and stirs my creative soul. 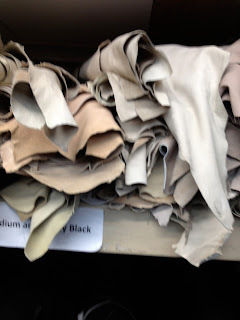 Every beautiful thing I find in the fabric stores inspires another idea, another thought, or triggers a memory. The stores and services you find there are exponentially more fascinating because of what they do in combination with each other. 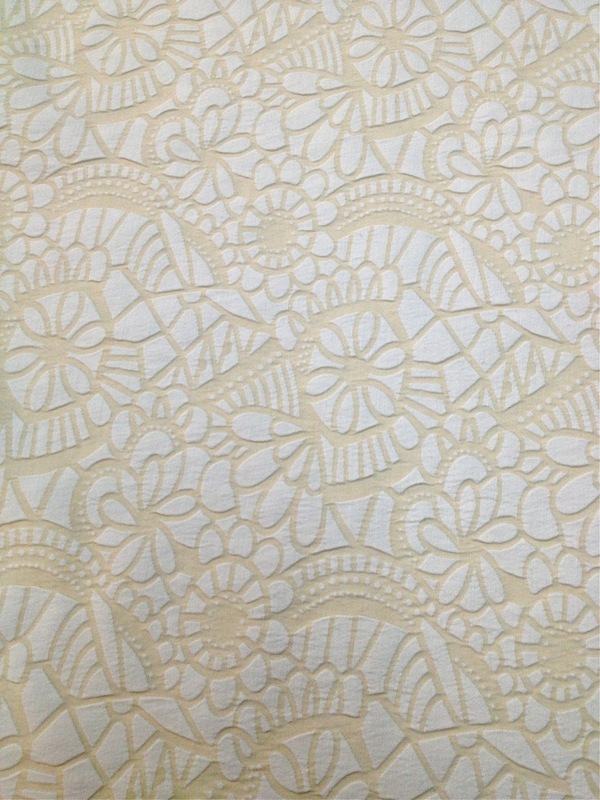 I nearly jumped out of my skin with excitement over a fabric I saw at Elliott Berman last week, and I know a fabric I need to buy awaits me at NY Elegant to complete the look. Because of the beautiful things textile and notions designers have created, and the special skills and machinery many garment district businesses provide, we can use it all as a creative springboard, making new and exciting combinations using this wealth of resources in one special geographic area. Here's how this applies to the Garment District Speakeasy tours I run. Using only our feet as transportation, the tour is an adventure, an inspiration, and an educational trip to places you wouldn't otherwise know to explore. I have learned that, for me, it is truly not enough to assemble a group of people who love to sew, and lead them in and out of stores. Much like an art exhibit, to really achieve its goal, the trip has to be a curated journey through stores that work well in combination with each other. For example, you may not think you want to sew a coat. Maybe you've never tried. But a flame may be lit if you see a divine waterproof cashmere (not a myth, there is actually a beautiful camel-colored waterproof cashmere at B&J Fabrics), and, with the help of the buttonhole makers at Jonathan, or the twist-lock closures at Star Snaps, and the fantastic leather trims at Leather Suede Skins, you've got yourself an amazing garment plan. Suddenly, an idea starts to really take shape (and perhaps haunt your dreams until it is made!). Can you find these places on your own? With much searching, I'm sure you can find these and many more. There are, after all, approximately 450 garment and sewing related businesses in the district, capable of all sorts of things. If you read this blog, you can find anything that has been recommended here. If you can avoid visual stimulation overload and garment district creative paralysis, you're good! But... if you come on a Speakeasy Tour, you get a curated selection of stores, a group of other excited people, personal attention and fabric consultation, lunch, and all the creative fuel you can stand. Armed with your Speakeasy Map and your own curiousity, you may continue the journey after lunch on your own. Come along on a Speakeasy, and find out for yourself! The cost of these guided, efficient tours is $75 per person, or $90 per person for "Hard Stuff" and "Notions" tours, due to additional professional help and education. If you use this trip to shop and participate in what the NYC garment district has to offer, you will save at least as much as you are paying in supplies and education, and probably far more. Stoll works with some of New York’s most respected and influential designers in the industry, to name a few are Calvin Klein, Zac Posen, Cushnie Et Ochs, Ralph Lauren, Sophie Theallet, Doori, Freemans Sporting Club, and much more, as well as emerging designers and even students from the leading fashion schools. If you've walked past this place (as I have done, many, many times), you might have wondered exactly what it is. The front window looks like a corporate museum space, and whether or not to enter may place a casual observer in a bit of a quandary. Is it open to the public? It certainly doesn't look public. A sophisticated operation, with signs in the window announcing a sample sale? Where are the samples? What kind of samples? So I entered. I was warmly welcomed by the staffers at the front desk. No pressure. "Look around!" Inside this cavernous space were a few racks and shelves of knitted clothing and accessories. From high-end to highly creative, to just plain cute, there were samples available to purchase. Beautiful things, really, at a variety of price points, although you likely wouldn't consider the prices pocket change. I couldn't really characterize the grouping as anything but "eclectic", really, but the word "inspiring" is appropriate here as well. 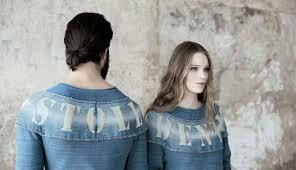 As you move through the room, there is an exhibit of some truly innovative knitted "denim" pieces. Trust me, you need to see them to understand. Click this link to see what I mean. It really looks like the "future" of clothing in a collection, dontcha think? So, what do they do? Well, the answer to this question gets complicated. They work with the small guys and the big guys. It is all aimed at professionals of any size, but the information, sample items for purchase, and inspiration are available to you as an individual. In business since 1873, they have a truly vast pattern library for both research and educational purposes. Beyond the fashion industry, they create textiles for medical uses, upholstery, conductive fabrics, composites and industrial fabrics. Get your samples made here, consut with knowleageable staff, and open your eyes to new possibilities. In a nutshell, this visit gave me the impression that knitwear is more important to the future of clothing than I realized. If nothing else, for aspiring and current knitwear designers, it certainly will help to get your visions realized! The exhibit space with conference/consultation rooms is wonderful. And frankly, when it comes to new designs and ideas, if you've never seen them, how would you even know they could ever be done? The Stoll website gives the full story. Interested? Settle in - there's a lot of info to read there! By the way... they also rent this amazing space for private events. In NYC (and so many other places), it has been hot as heck this summer. In this weather, it is easy to lose sight of the fact that fall/winter and the holiday season will come again, bringing a need for coziness, warmth, soft sweaters, hats, blankets, and all those other comfy things we love. I need not tell you that the time to start scoping out your supplies for those things is nigh. Decades of shopping in the garment district have made me blind to the offerings upstairs at Daytona Trimming. If you venture up the staircase, you will see a wonderfully organized space, full of yarn, publications, and related tools. Yup. Right there in the garment district. Another fun choice for yarn and related basic supplies is the Fashion Design Bookstore at FIT. This is great for the person who just wants to some buy yarn in the garment district. Like... if you're really serious, and up for a leisurely stroll (weather and energy permitting!) 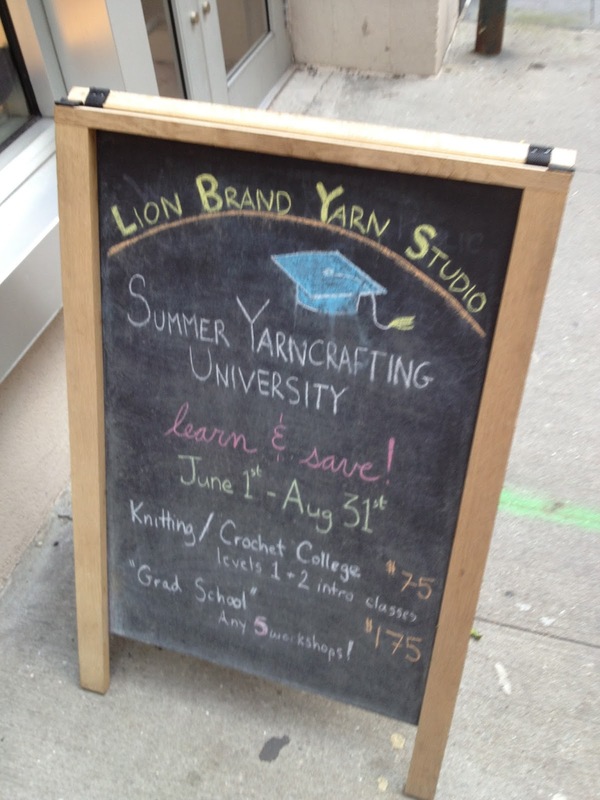 or a quick subway, cab, or bus ride (assuming a Garment District starting point), you can go to the Lion Brand Yarn Store! Note: You may also want to be aware of the Lion Brand Outlet in Carlstadt, NJ. 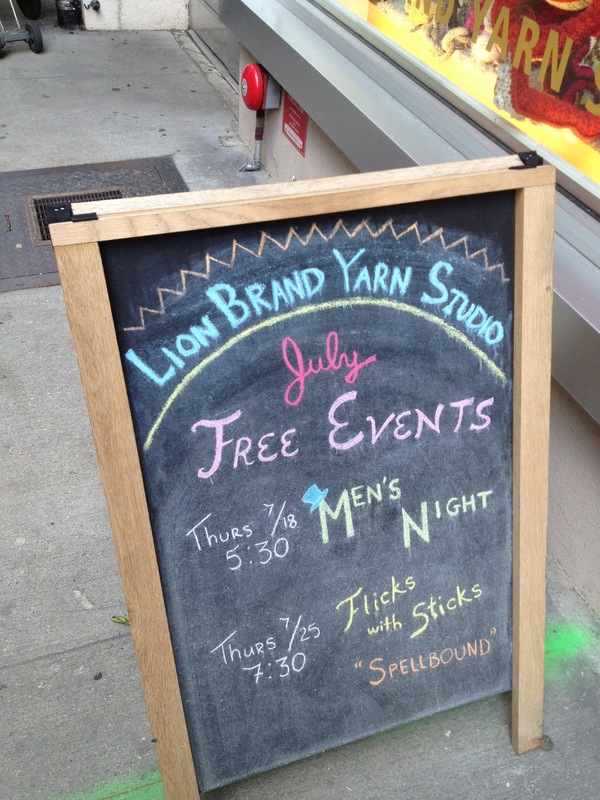 Oh... and this Lion Brand store has a Men's Night. How great is that? Oh... wait... you don't love to knit or crochet? Oh, maybe you love KNITS, then... See my next post, coming up very shortly! Sewing Classes for Newbies and Semi-Newbies! You've been looking for classes, haven't you? From a sample of about 50 survey participants, I learned that most beginner sewers interested in taking classes have attempted to sew something at least once before. Only 4 of the respondents had never touched a machine. Only 5 people had never tried to sew using a commercial sewing pattern. Most who used patterns needed additional help understanding the instructions, and, whether they got the help or not, most found that help to be insufficient. About half of the respondents had tried other ways to make things, using written, text-only instructions or grids to enlarge. 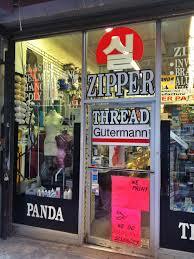 The area formerly known as the "Garment District", also now lovingly referred to as "The Fashion District", refers to a pretty specific geographic area in Manhattan. As you may have noticed, I've expanded our definition for the purposes of this blog, since so many of these completely accessible businesses feed and cooperate with each other, creating a symphony of creative resources for people who make things. If you visit the Fashion Kiosk, for example, their jurisdiction is limited to the area they serve, which means that a great business, perhaps just a short walk further than many of the fashion and notions stores is not in their database of businesses to recommend. Ask for sewing classes at the booth, and you'll come up empty. But there are always new places to explore! Can I Learn to Sew in/near the Garment District? On my radar for quite some time now, but just a short walk further south and east than my own usual fabric and notion-related haunts, you will find The Sewing Studio. (Note: As of September 6, now closed) With locations in New York and Toronto, they have advertised some pretty exciting options for the beginner to moderately advanced sewing student. Yesterday... yes yesterday, July 15... in the EXTREME NYC heat, I wandered into the studio, and fell in love with the place. And, not only for the air-conditioning! The brochure/pamphlet they offer gives a concise overview of what the studio offers, listing the prices and descriptions of each class, in a very clear format, inviting you to learn more. The Sewing Studio provides fresh, fashion-forward sewing classes. The team is an enthusiastic and patient group of teachers who provide hands-on demonstrations and a wealth of sewing expertise. The courses are comprehensive and fun. I asked myself... Could this be true? In a bustling creative building, full of rehearsal spaces and other fun businesses, I took the elevator up to the 8th floor, entered the studio, and was greeted by Tamara (syllabic emphasis sounds like "tomorrow", by the way), a warm and engaging employee, who gave me a grand tour. A group of students were absorbed in a sewing class, fully engaged in a creative experience, and weren't one bit distracted by my presence. The space is wide-open, beautiful, colorful, neat, well-lit, appropriately climate-controlled, and efficient. New Janome machines lined the tables, which you learn to use in the classes. Because of their relationship with Janome, the Sewing Studio also sells their machines at a VERY significant discount. Classes are taught by Sewing Studio employees in the space, sewing and fashion camps for kids and events are held in a similar studio across the hall, and I was welcomed in to see the kids' sewing camp in action. A young boy (perhaps 10 or 11 years old) rushed over to Tamara, excited to show her an Ipod case/wallet he had made. It was indeed awfully cool, and I told him so. Unsolicited, he gushed to me about the program, and said that while he wouldn't even care if there were other boys in the program or not, the other kids were so cool, that he would have made plenty of friends in the classes he's taken even if he were the only boy (which, by the way, he wasn't). I was then introduced to Nasya, the studio director, who shared a million more exciting details about the place with me. Feel free to follow the Sewing Studio on Facebook and/or Twitter for more information. I assure you, it looks to me like a beginners' paradise. Offering courses year-round on weekday evenings and weekend days (with some day programs, too! ), a live person at the Studio is easiest to reach by phone between 2-6PM weekdays. And... it gets better. No kidding. They teach what you actually want to know. Just look at the course offerings. Wanna copy your favorite clothes? Wanna expand a ready to wear item after you've gained a little weight? Want a bit of pattern making guidance? Want to make a clone of a designer bag? They even offer a single 2 hour beginner basics class, just to get your feet wet, if you have any fears about diving in! So, here's the deal. You can be a complete novice. You can take a class here if you have never touched a machine before in your life. You can throw a sewing party here. You can take private classes. You can buy a gift certificate for someone else to learn. You can do workshops, where you can learn while following a specific theme. I'll start with the reveal. Slouchy leather inner bag, with a firm outer "cradle". This is not one bag, but, potentially 10 (more, if I go crazy! ), since I can change the cradle as my whims dictate! Note: It was the fabric from Elliott Berman that cried out to me to make this bag. 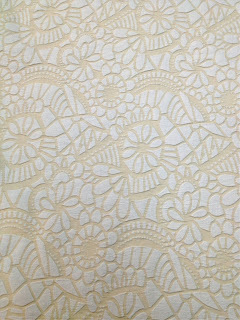 I adore the look and texture of this fabric, and just felt it should never hide from anyone, EVER. Assembled bag, with removable "cradle"
The cradle slides through the reinforced base, which is permanently secured to the bag. The handles travel through the grommets on the cradle, and are attached to the exterior of the leather bag. The straps are removable, to allow coordination with different cradles. Not easy, not cheap... but for about $140 worth of materials, and any other fabrics I may want to incorporate in the future, I can make as many bags as I like. 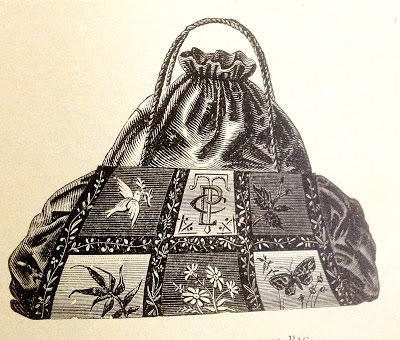 So, while I am not a person who buys pricey bags (and this one, in materials AND labor, if made for a client, would be quite pricey! ), it becomes quite a bargain once I've made 5 or more of them! By the way, it is HILARIOUS to see it all in just a few simple pictures here, compared to how many fits and starts it took to make it! Side note: Another great strap option for a different "cradle". 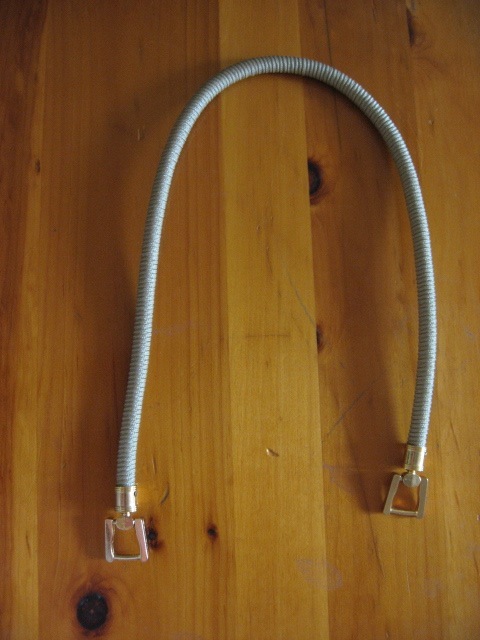 These straps are sold at Joyce Trimming. So, whaddya think? I'm interested in the full spectrum of comments, so feel free to say what improvements you think you would make as well! Wanna fabric shop with me? Come along on a Speakeasy tour! After seeking input from you (the readers), and other professionals, these are all of the remaining tours for this year (2013). A fabric store wonderland, featuring some of the best fabric stores the district has to offer! With the additional expertise and resources of my expert touring partner, Cindy (her experience working on Broadway shows, costumes for the Metropolitan Opera House, television shows, pattern companies, historical garments and more), you are in for a truly delightful, educational treat! As winter approaches, plan to spend some cozy indoor time with your machine. Find your supplies, get inspired and feed your creative urges! This December 13 tour offers a "Bring a Friend" option! Add one or two friends for $35 each. Makes a nice pre-holiday treat! Don't be shy. Everyone starts somewhere. Maybe you want to learn how to sew, but that doesn't mean you want to make an apron, a tote bag, or a pillowcase. Or, maybe I'm wrong, and you do? Where can you go to get started? Here's the thing. There are lots of people out there who can teach you. A reasonable class size can make it affordable for you to attend. I know lots of people who are ready and willing to teach you. So, you know what? I'll do a survey, find out what you want to learn, and find out what teachers are ready and willing to teach. Let's see how it all matches up! There will be more than one survey in this series. The first, which you'll find by clicking the link below, is to get a sense of what beginning sewers are looking for. If you are a beginning sewer, please click below to take a quick survey. details of survey results will be shown on this blog. I know that we will find differences based on where you live, your age, and all of those other important factors. This one, is just to get our feet wet. You can live anywhere, and be anyone interested in learning to sew to take this survey. Then, I will dissect the data, and get much more specific, until we can create some great research, data, and match-ups.